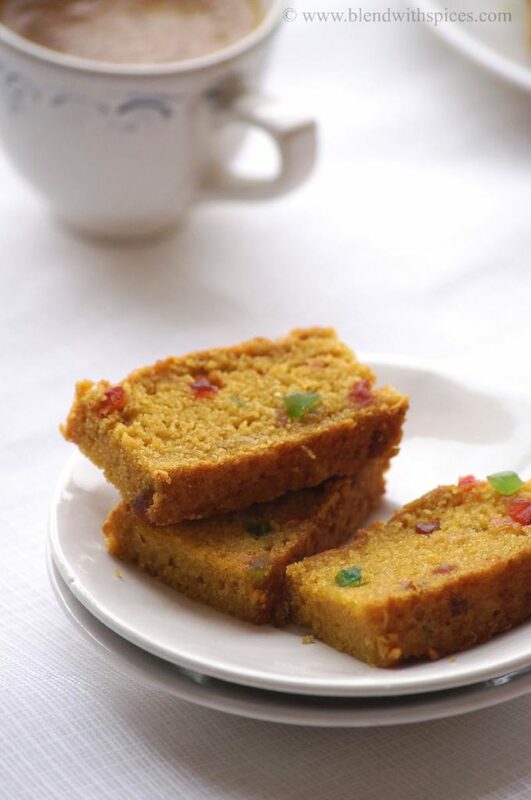 If you are looking for more Eggless Cake recipes then do check Eggless Banana Cake, Eggless Date Cake, Eggless Vanilla Sponge Cake, Eggless Jowar Banana Muffins, Vegan Cardamom Cupcakes, Strawberry Custard Cake and Eggless Mango Cake. Combine the wheat flour, salt, baking powder and baking soda and sieve this together to ensure even mixing. Keep it aside. Grease a 7 inch round cake tin with little oil and set aside. Mix the mango puree, water, sugar, vanilla and oil in a mixing bowl and whisk until well combined. Add the tutti frutti and mix well. Add the sifter flour in 2 batches and gently fold the mixture until the batter shows no trace of flour. Quickly pour this batter into the greased cake pan. Immediately place the cake pan in the preheated oven. 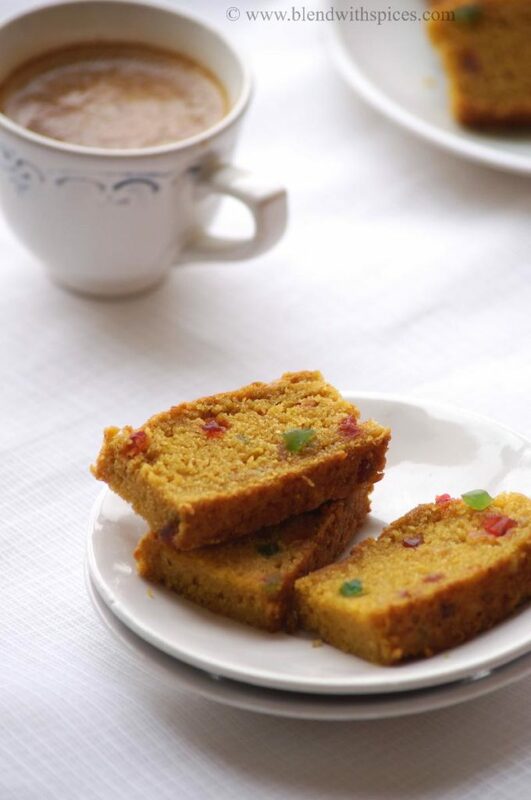 Bake at 180 degree C for about 38 – 40 minutes or till a tooth pick inserted in the middle of the cake comes out clean. Let the cake to cool for about 15 minutes and then invert. They came out simply awesome,wonderful cake.